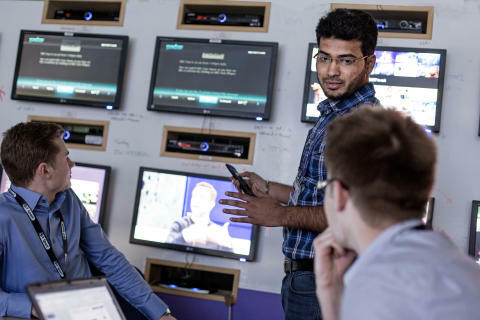 The drive for apprentices and graduates will see BT employ people in a number of different roles, from TV production, engineering, customer service, and in cyber-security to help tackle the growing threat of cyber-crime. BT is one of the first UK companies to use virtual reality technology as a way of recruiting, as it looks at innovative techniques in how it attracts the best graduates. The assessment process will include candidates being asked to complete a series of virtual reality “Crystal Maze” style tasks. BT will assess candidates based on three measures which comprise analytical skills, how they handle change, as well as their drive and enthusiasm to get tasks completed. The latest recruitment drive for apprenticeships and graduates is in addition to Openreach’s announcement last week that they are looking to recruit 3,500 engineers. The Prime Minister, Theresa May, said: “I welcome this announcement from BT. More high-quality apprenticeships means more young people with the vital skills and training to take advantage of the economic opportunities of the future. 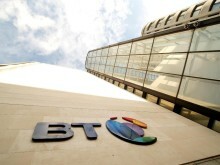 BT Group is one of the UK’s largest employers with 82,800 people based in the UK. The new roles, which include those within EE and Plusnet, are spread across a number of locations including London, Glasgow, Belfast, Warrington, Bristol, Cardiff, Doncaster and Newcastle-upon-Tyne. A number of this year’s recruits will be based at BT’s world-renowned labs at Adastral Park, near Ipswich, in Suffolk. This research centre is playing a leading role in the development of artificial intelligence, ultrafast broadband and 5G technologies. Many of the apprentices will also achieve foundation and full degrees as part of their work at BT, while some graduates will also achieve fully funded qualifications. The scheme is delivered in partnership with local colleges and universities to ensure that apprentices and graduates receive the best education for their area of focus, as well as the hands-on experience and training. BT has a commitment to helping people and meeting the demands for innovation and digital skills in the UK. The company is also showing this through its Work Ready programme which was launched in 2014 specifically for NEETS (not in education, employment or training). To date more than 3,500 people from around the UK have participated and more than half have gone on to either gain employment or return to education. The programme is part of BT’s wider Tech Literacy initiative to inspire people in the UK to embrace the role technology plays in their lives. BT is also currently offering free teaching-resources and volunteer-led training workshops as part of its Barefoot Computing Project, designed to help primary school teachers become more confident when teaching computer science and computing skills. Gavin Patterson, chief executive of BT, said: “We’re proud to be leading the industry by investing in training a huge number of people in the digital skills that the UK economy so vitally needs. “BT has a rich history of innovation, and it’s an incredibly exciting time to be joining the company as we look towards growing our cyber-security business, developing 5G technologies and enhanced TV content. “Our apprenticeship and graduate scheme will equip people with the skills and on the job training they will need to succeed in the future.